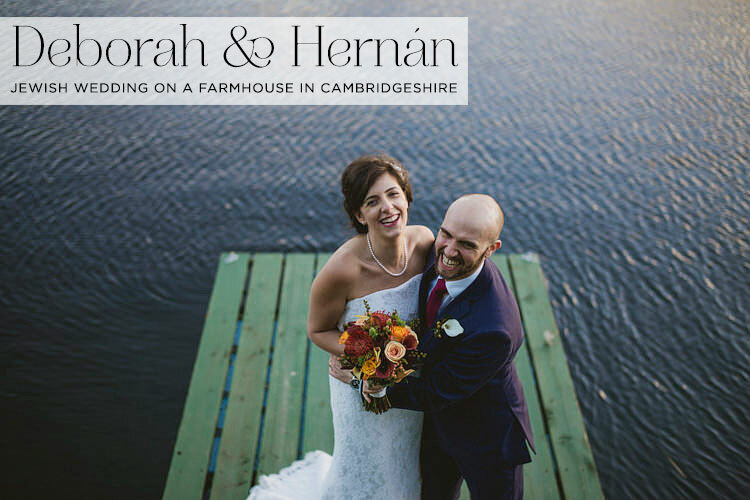 Over the past few weeks we’ve shown you real Jewish weddings on South American lakesides, Italian cliff tops, and a myriad of coastlines — but how about we take it back to the land and look at Deborah and Hernà¡n’s wedding on a glorious farm in Cambridgeshire, England. 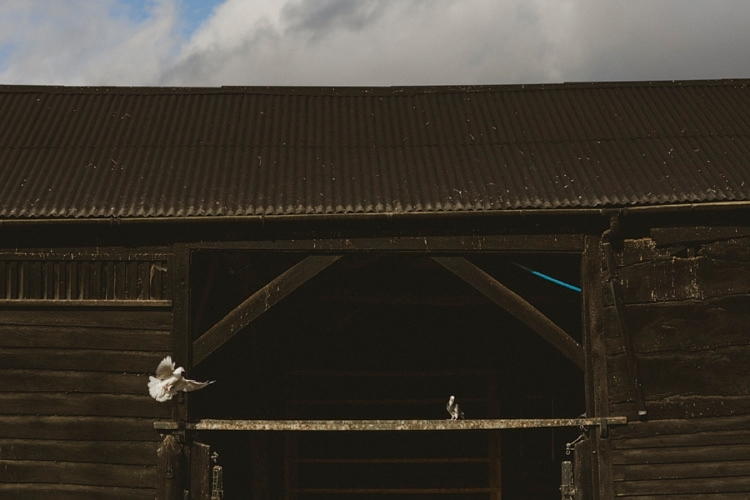 With farmyard animals loitering outside the main reception, food and entertainment in the barn and painted gypsy caravans for the guests to sleep in — this was such an inspired choice of venue to share with their family and friends hailing from around the world. 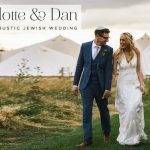 Deborah and Argentinian-born Hernà¡n settled on stunning South Farm for their big ‘I do’ as they wanted to veer away from the traditional Jewish wedding — they wanted an international party and they certainly accomplished that, and all with such a thoughtful eye to detail. I’m totally drawn to Deborah and Hernà¡n, not just because they’re regular visitors to Smashing The Glass or because they got married on my birthday (yay!) but because they seem such a happy, warm and inclusive couple…. And this spills out into their wedding. 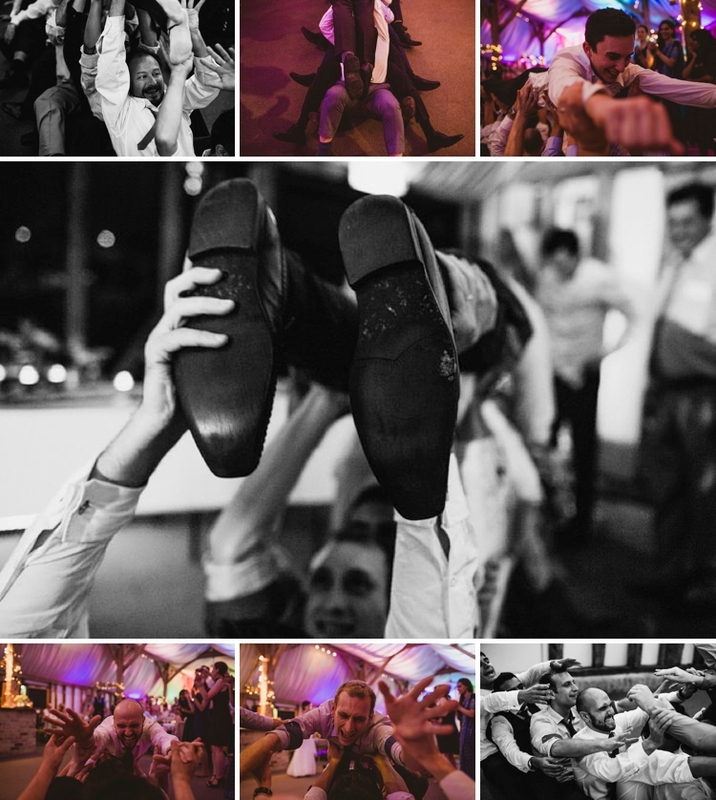 The love just radiates and the pictures and film by York Place Studios make me smile and well up in equal measure — everyone seems to be having the BEST time. So how did they manage to be so inclusive for the whole international family? A few key things — as their speeches were in English and Spanish, they used a projector to translate, so all guests were in on all the jokes! 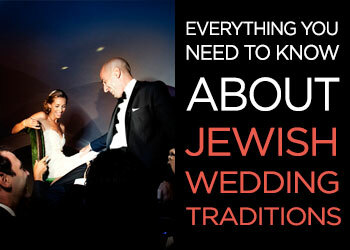 The order of service was in both English and Spanish and their Sheva Brachot were said in Hebrew, Spanish and English. 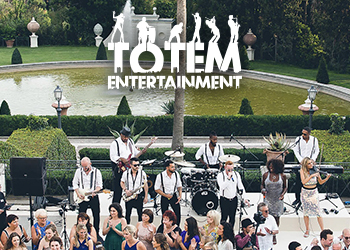 Their choice of band also showed such sensitivity to their guests needs — Storm played a mixture of Israeli, British and Argentinian music. 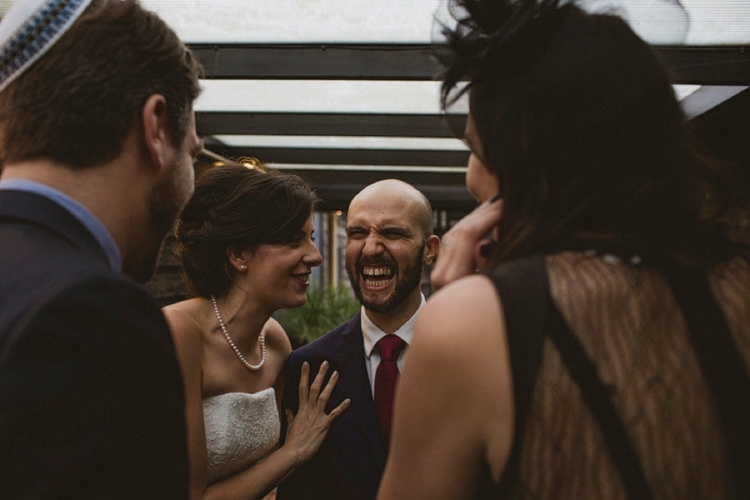 With hosts like this — no wonder everyone looks so darn happy! 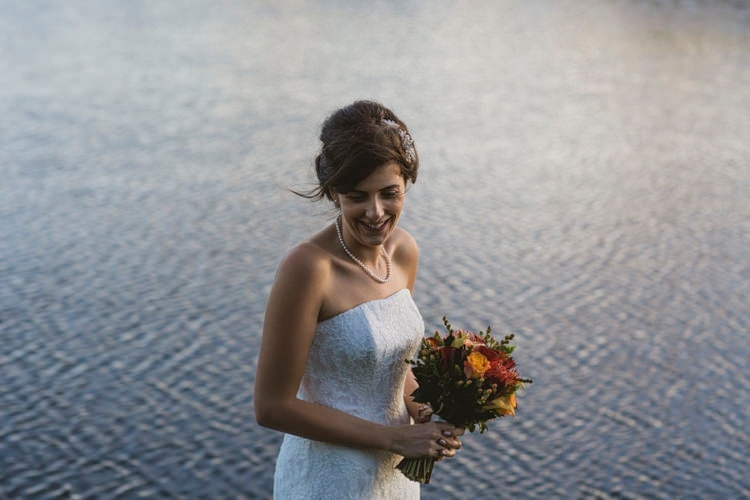 Deborah, the Bride: Hernà¡n and I briefly exchanged names at a club in Manchester whilst at University in 2007. A couple of days later, Hernà¡n invited me over for a delicious dinner and from that moment on we started going out. In August 2012, whilst watching the sunrise at Masada in Israel, Hernà¡n proposed and just over two years later we got married. 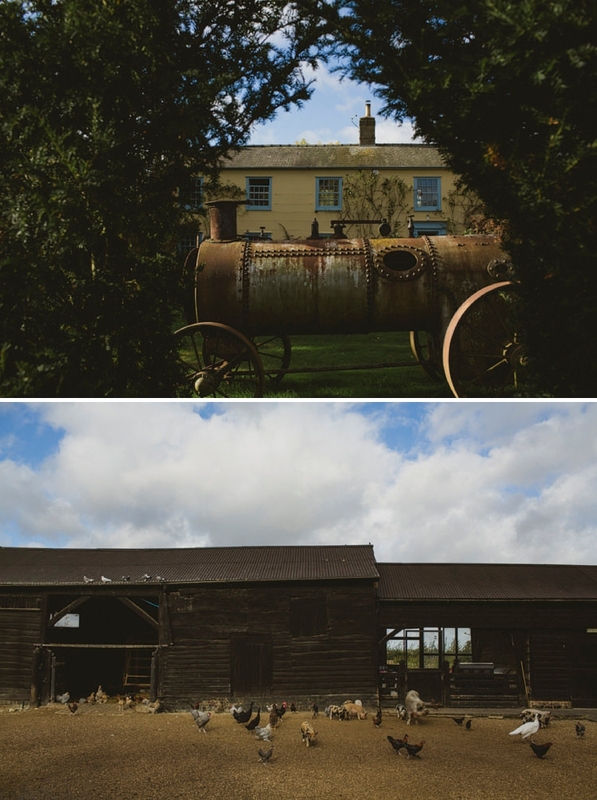 We got married in South Farm, Cambridgeshire. 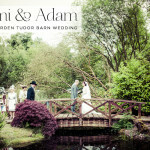 We chose the venue as from the moment we visited we knew it was everything we wanted and more. 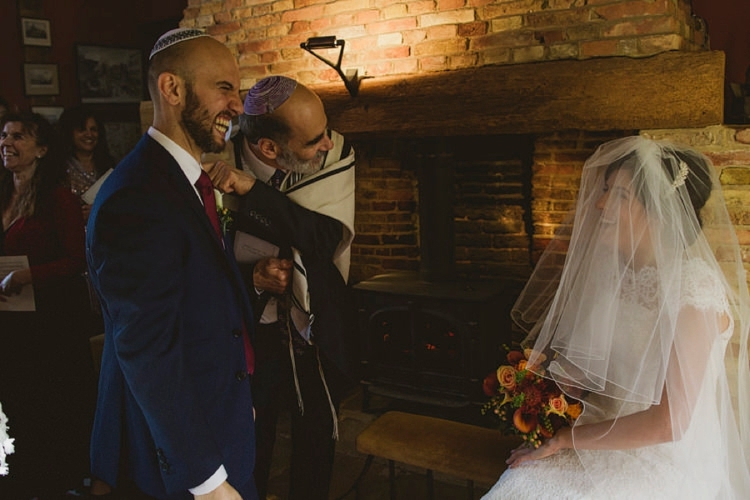 The owner, Philip was so friendly and accommodating and was keen to understand more about kashrut to enable us to get married there. The grounds are absolutely beautiful and we left the first meeting with a bunch of herbs from the herb garden. South Farm has a certain buzz about it that is indescribable. It felt like home and every visit was special. 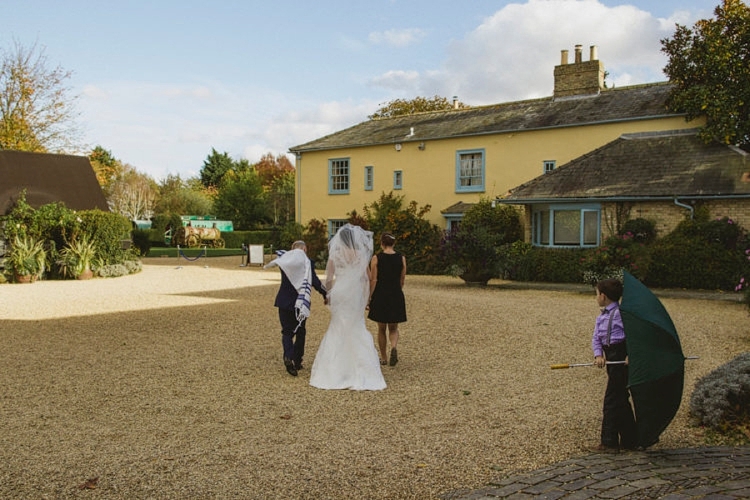 Our wedding planner at South Farm, Becky, went above and beyond to ensure our day was perfect. She was realistic and gave us some really good advice. On the run up to the wedding and on the day there were lots of special touches that made the day smooth. 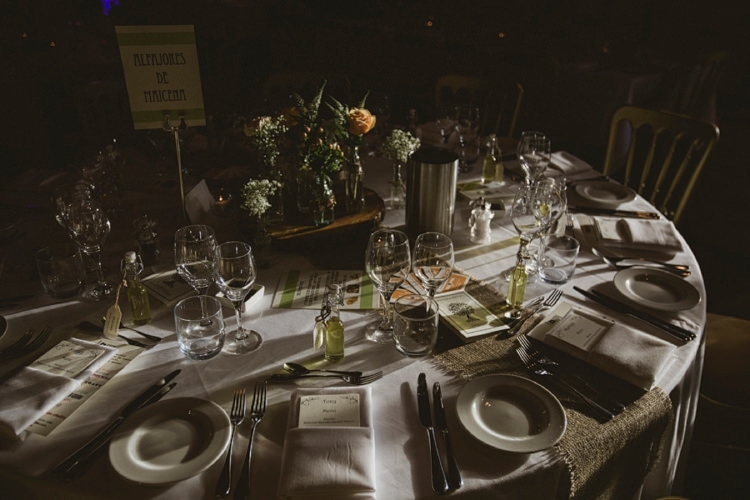 As an example, the food tasting is out of this world and South Farm did so much to accommodate our needs and to ensure that we could try as many vegetarian and fish dishes as possible. As I mentioned earlier, South Farm were very enthusiastic to learn more about kashrut and Philip sent me an email after our first meeting with about twenty questions. The passion and sensitivity that Philip and the kitchen team showed made us smile and we had no doubt about their ability to ensure our food was kosher. They worked with the Masorti kosher team to undertake training and to understand what ingredients could and couldn’t be used. 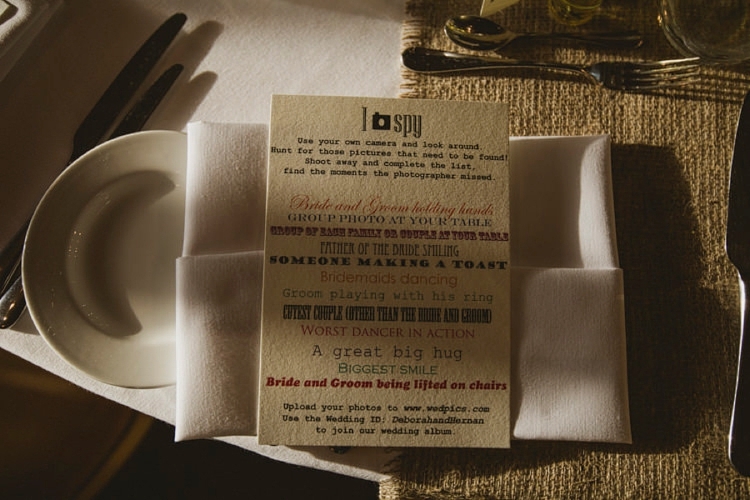 Our wedding was in autumn so we chose autumnal colours such as oranges, greens and ivory. I was given a wedding planner journal by my sister, which was really useful for keeping articles, and photos . Hernà¡n and I spent a lot of time researching wedding invitations as we wanted to design them ourselves. 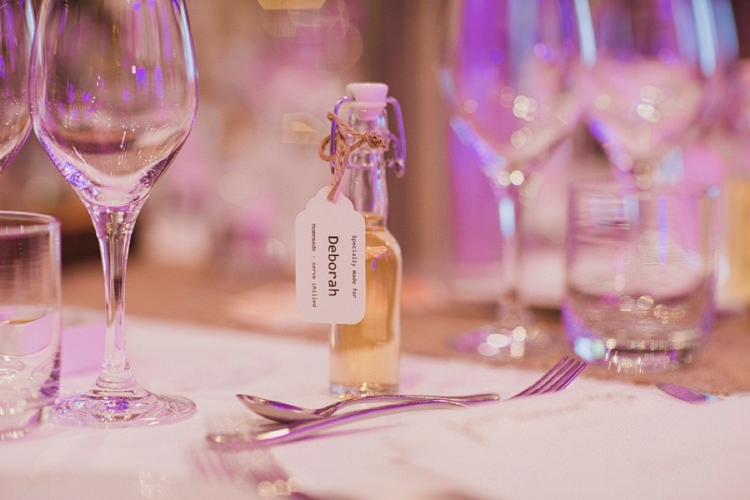 Hernà¡n designed the invitations which were simple and on cream card. 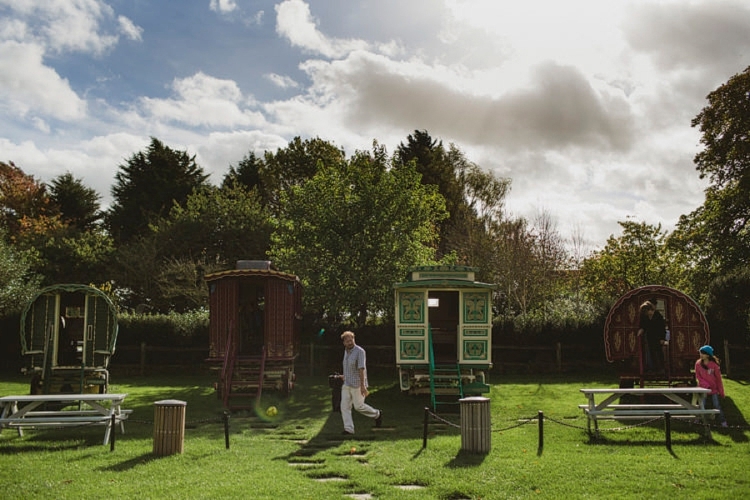 The RSVP was a postcard featuring the South Farm gypsy caravans. Denise Lilley from D&D Makeup did my hair and make up (as well as my mum’s, sister’s and my mother in law’s). 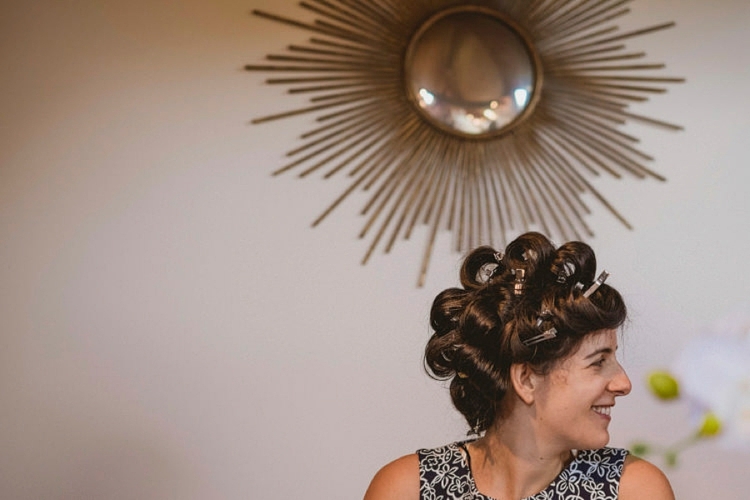 I showed her my dress and told her about the style of our wedding and went for a trial where she created a messy bun look and my make up was really natural. I really trusted her experience in creating a natural, flawless look for the day, which lasted until the end of the party. 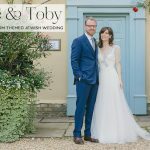 A Stewart Parvin wedding dress, and meeting the man himself! My dress was from the LOVE Bridal Boutique in Altrincham, Cheshire. The designer was Stewart Parvin and the dress is called Crazy Love. I only tried on five dresses and knew it was the one as I felt amazing when I tried it on. I went to a designer day a year before the wedding and met Stewart Parvin with my mum and sister. He was so friendly and helpful and gave me some really good advice about the dress (as well as persuading my mum to pick the dress I liked). Hernà¡n and I were keen to work closely with our suppliers as much as possible and meeting Stewart Parvin was an experience and a pleasure. I loved the fit of the dress and the bodice and support inside. The lace was beautiful and I accompanied it with a jacket that was made from the same lace. 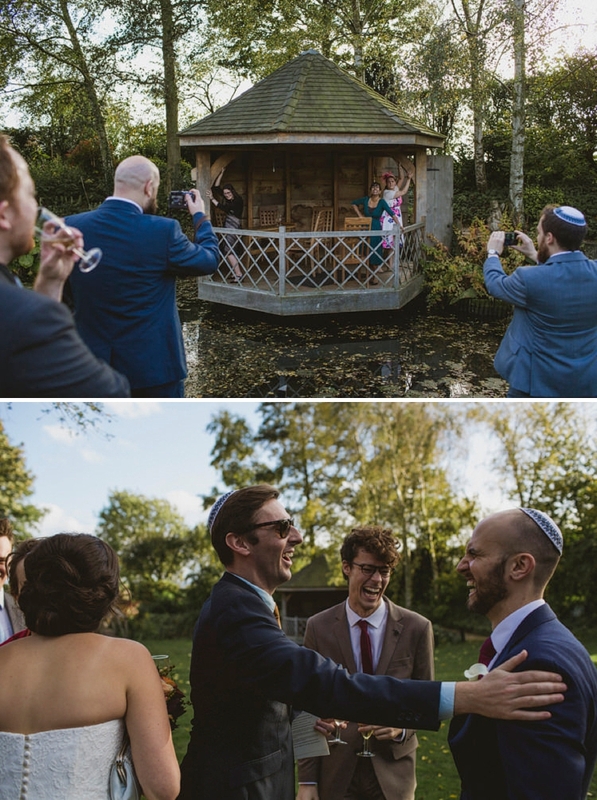 I wore the jacket for the badeken and chuppah and I took it off from the reception onwards. I wore a two-tier veil from Stewart Parvin, as it was really important that the ‘unveiling of the bride’ featured as part of the badeken. I also wore a tiara/comb with pearls and diamonds from Amanda Wyatt. Hernà¡n wore a slim fit navy blue suit and white shirt from Charles Tyrwhitt. This was complimented with a burgundy tie from Charles Tyrwhitt and shoes from TK Maxx. Hernà¡n always looks amazing in a suit, but this suit was perfectly fitted and I was so excited when I saw him. I had three bridesmaids. My sister was chief bridesmaid and wore a peach multi-wrap dress designed by Eliza + Ethan from Just Bridesmaids in Southgate. My second cousin, Ellie, and my niece, Sabrina, wore the John Lewis Girl Empire Line Lace Bridesmaid Dress. The dresses really went well with my dress and the peach flowers. 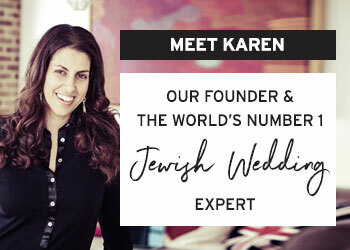 Our Ketubah was designed by Josh Baum and had a gold plated tree with our names in Hebrew. On the right hand side was the marriage contract in Hebrew and on the left in English. We chose an Egalitarian text and made some amendments with the support of Rabbi Chaim Weiner which meant we were able to include Hernà¡n’s parents’ names. Hernà¡n and I included many special touches in to our ceremony to make it more personal and special. Our friends sung several songs during our wedding ceremony, which they had spent hours rehearsing. 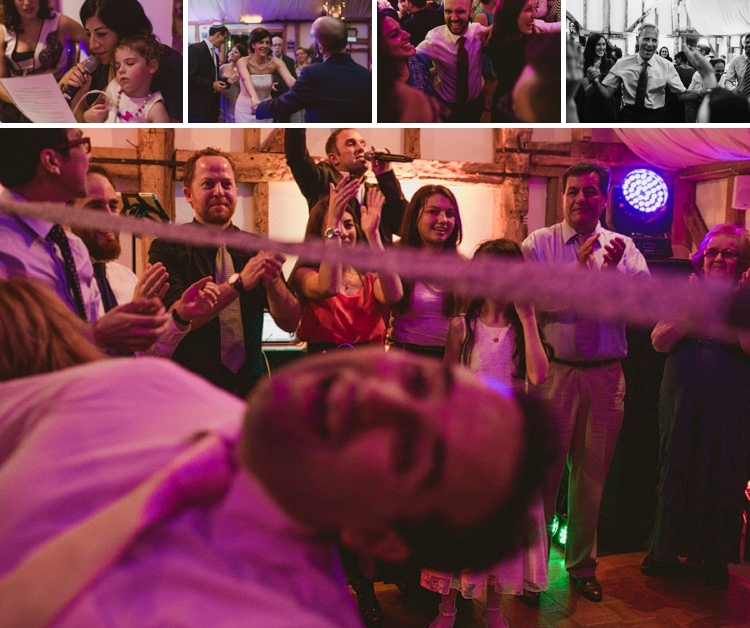 The four chuppah poles were held by Hernà¡n’s sisters and sister-in-law, which helped represent the home we are going to create together and enabled us to be surrounded by both families. 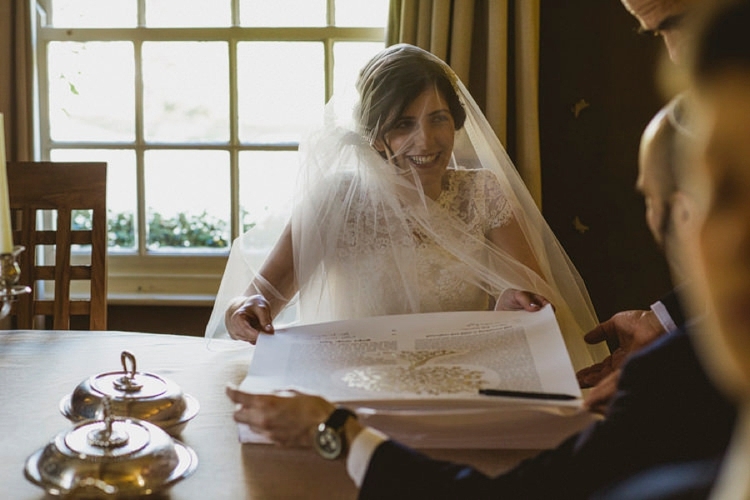 We wrote the order of service in English and Spanish with explanations so that all our guests could feel part of our wedding. We both exchanged rings and vows as it was important that we were equal in our promises to each other. 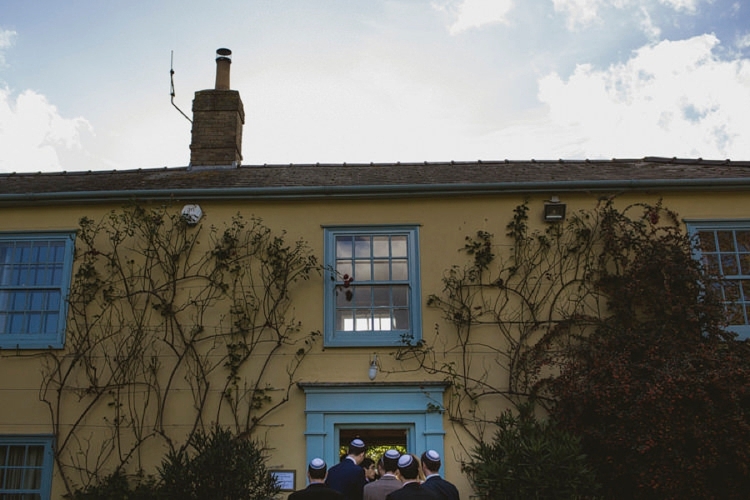 Our Sheva Brachot were said in Hebrew, Spanish and English, which enabled us to include friends and family. 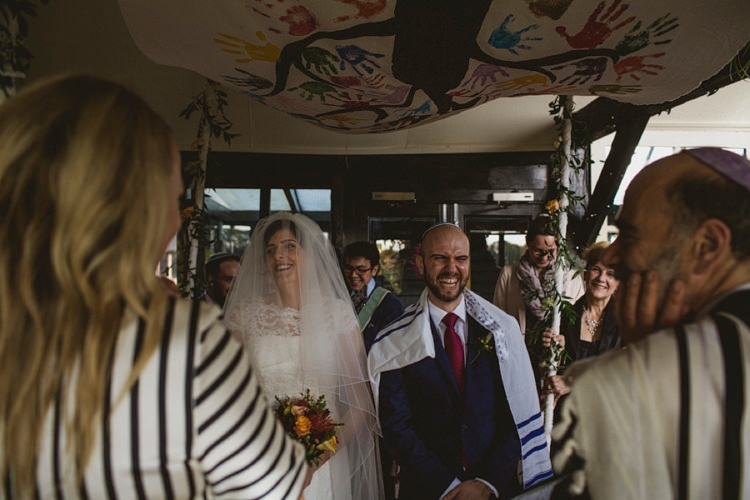 It was really special as each person came up to the chuppah to say their prayer and we felt surrounded by love. 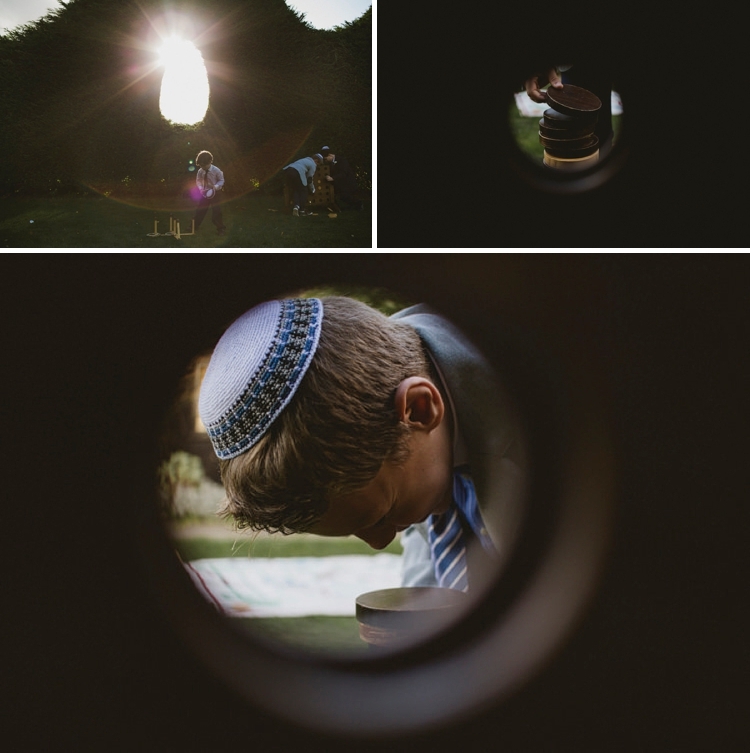 We decided to make our chuppah with help from both our families. 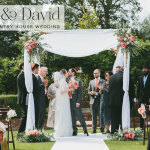 We bought the chuppah material in Argentina and starting decorating it in January 2014. Hernà¡n’s niece, Johanna painted the roots and branches of the tree. On New Year’s Eve, we started decorating the tree by asking all of Hernà¡n’s family to make handprints to represent leaves on the branches. Once complete and dry we took it back to London where Deborah asked her family to do the same. 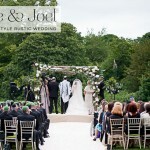 On the day, we had a chuppah design with a tree with different colour leaves all made by handprints from our families. Before our wedding ceremony started our friends sang Eshet Chayil. 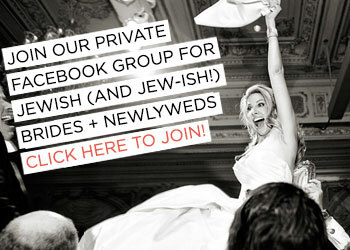 When Hernà¡n and I walked towards the chuppah they sang Lecha Dodi to the tune of Hallelujah. It is our favourite song and was really beautiful, reminding me of the peace when Shabbat arrives. During the circling our friends sung Dodi Li and whilst we signed the marriage registry forms, our friends sung a few Hebrew and Ugandan songs. As we left the chuppah and went to Yichud our friends sung Od Yishama. For the bouquets, we chose calla lilies, roses and leaves in autumn colours such as peach, white and green. We left the flowers in the capable hands of Julie Cambridge as I sent her a picture of the style of bouquet that I wanted, but wasn’t specific about the flowers. The buttonholes were made from calla lilies and hypericum berries. 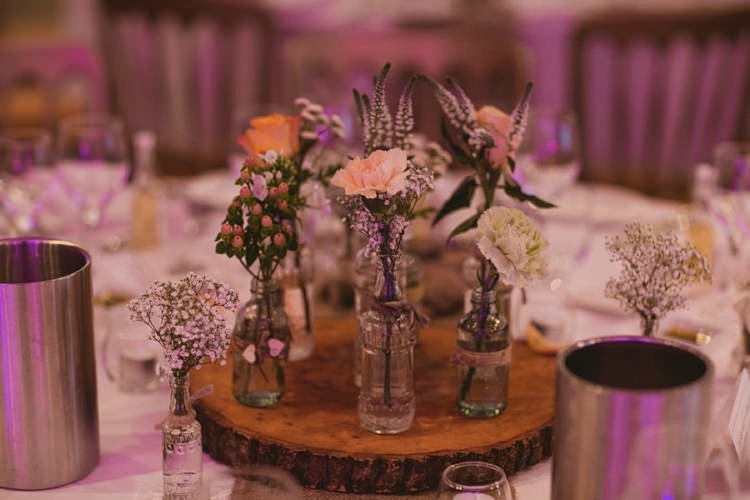 The tables were decorated with hessian fabric down the centre and small bottles containing a mixture of different flowers including roses were placed on the fabric. 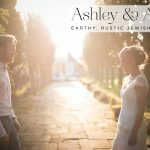 We spent a lot of time choosing our photographers and videographers and we couldn’t be happier with the photos and videos. Dom, Liam, Alex and Matt from York Place Studios captured our day from beginning to end and we haven’t stopped showing off the footage and photos to friends and family. We chose York Place Studios as we clicked from the first time we Skyped with them. We chatted and laughed away and before we knew it an hour had passed. 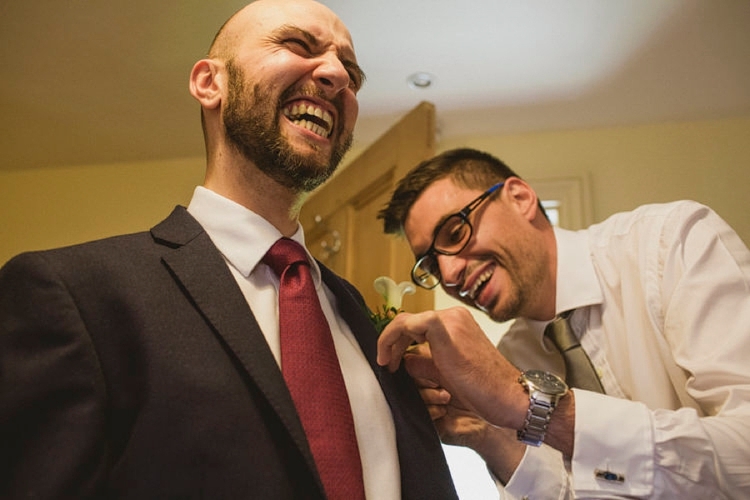 The team at York Place Studios work with the bride and groom to understand what you are looking for and ask you for lots of detail about the day to make sure you can relax. 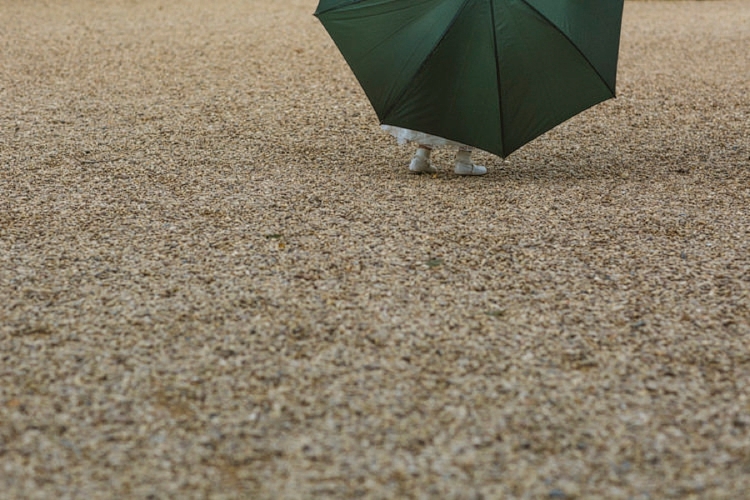 On the day they were inconspicuous – anyone would have thought they were guests. Every time we look at the photos and the videos we relive the most incredible day of our lives and this is why we chose York Place. 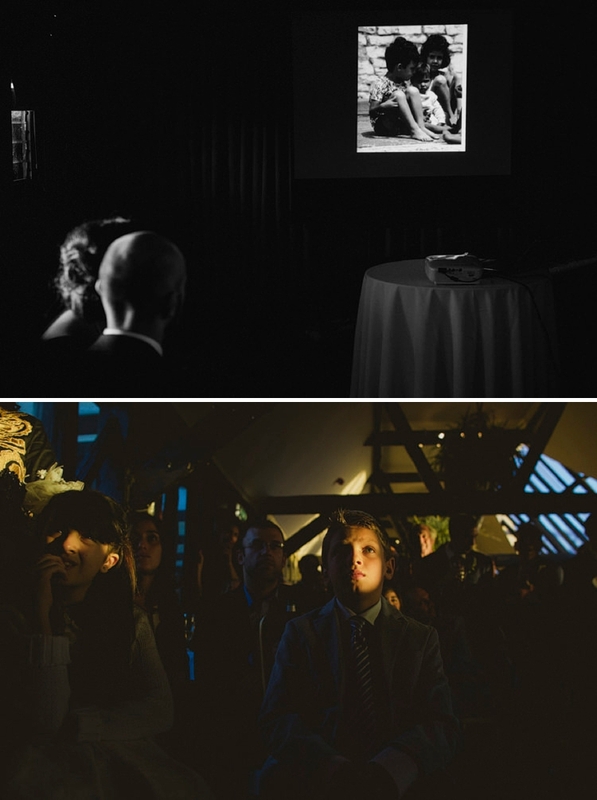 We trusted them to capture all the moments of our wedding and the result is out of this world. 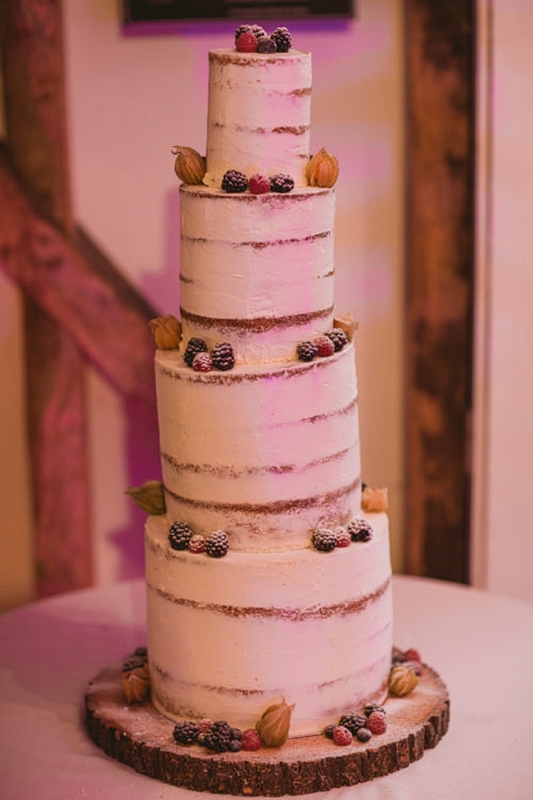 We worked closely with Michelle Eshkeri from Lavender Bakery to design a naked sponge cake with berries. Michelle was a pleasure to work with and listened to our requirements and then made suggestions. The cake tasting was great fun and we had no hesitation that Michelle was the right person for the job. Michelle made a three tiered cake, two tiers were vanilla sponges and one was vanilla soaked with raspberry syrup. The sponges were filled with jam and there was buttercream round the edges. Hernà¡n and his sister Graciela set up the cake with the berries at South Farm. Our favours were home made limoncello made by Hernà¡n and bottled by Hernà¡n and his mum in the weeks leading up to the wedding. We decided on this touch as Hernà¡n’s family is Italian and we wanted everyone to have something sweet and alcoholic to take with them. Our speeches were in English and Spanish so we used a projector to translate the speeches so our guests were able to understand everything. We chose Storm band to play a mixture of Israeli, British and Argentinian music. Sara and Chris were an absolute pleasure to work with from the beginning and were very relaxed and listened to our ideas. On the day they played a variety of songs that represented us, our family and friends. 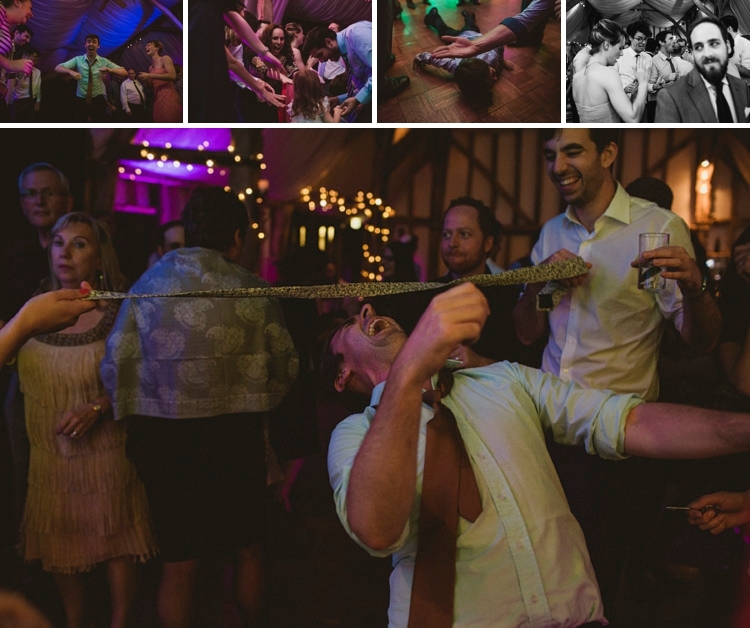 I would have no doubt in recommending them as a group as they got everyone on the dance floor and were very open to learning new songs for us. Our first dance was All I Want Is You by Barry Louis Polisar. Planning and delegation is key to making sure you relax on the day. On the day, make sure you have time with your husband/wife together to step back and look at all the people around you who are there to celebrate your wedding. 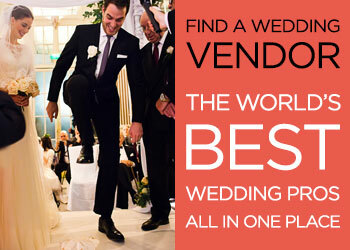 A friend told me to plan your wedding as if you are putting on a big party. Only you and your other half know the detail. If something goes wrong, smile and laugh and everyone will do the same.